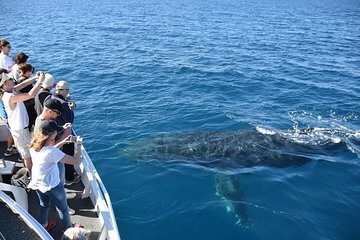 Enjoy a whale-watching excursion off the Mooloolaba coast. Choose a convenient departure time from a variety of options and relax with convenient hotel pickup (at an additional cost). Then, search for humpbacks as they migrate along Australia’s east coast. Enjoy a picturesque cruise with humpback viewing guaranteed—your outing is free if you don’t see one—and watch for dolphins, turtles, and other magnificent marine life.